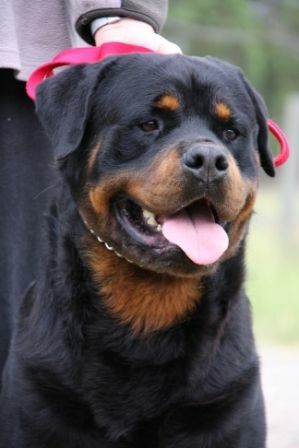 Over the years we have always strived to breed Rottweilers of correct type and temperament. We have used the best of the English bloodlines in our breeding program. Graham has been judging Rottweilers since 1992. 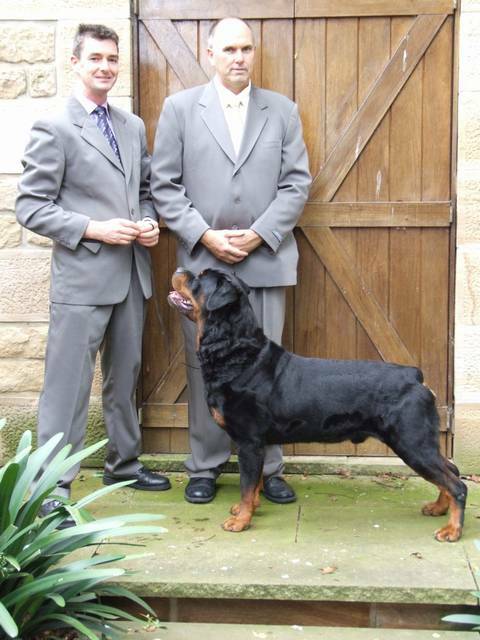 A trip to the UK to judge in 2007 saw us decide to bring a Rotty to Australia to show.A partnership was formed with our friends Ian & Roslyn Keech and after many months of planning Chunx was finally released from quarantine in early January 2008. After time to aclimatise to our weather it was time to take him to his first show. Canberra Royal was his first show and he showed us what he could do by winning Best of Breed. Chunx had a successful show career winning 4 Best in Shows, 1 Runner Up Best in Show and 14 Best in Groups along the way. After successfully gaining his Grand Championship the decision was made to retire him from the showring. 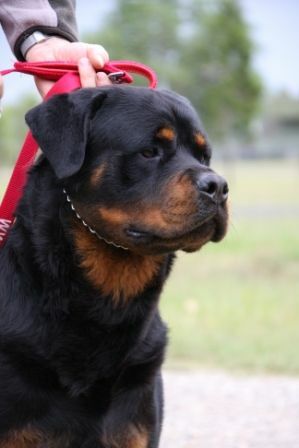 With the introduction of the new Supreme Champion title in July 2012 Chunx was brought out of retirement and competed one more time with much younger competition and won Best of Breed .